From the hungry, waiting country / Elliott Gyger. Capture session: Recorded by the ABC at the premiere performance at St. Bartholemew's Church, Prospect, Sydney on 7 May 2006. Performers: Halcyon ; Alison Morgan (soprano) ; Belinda Montgomery (soprano) ; Jenny Duck-Chong (mezzo-soprano) ; Jo Burton (mezzo-soprano) ; Genevieve Lang (harp). Score: From the hungry waiting country : for four voices (SSAA) and harp / by Elliott Gyger. 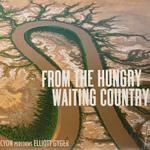 CD: From the hungry waiting country / Halcyon performs Elliott Gyger.